Best Baby Names Application Ever on App Store ! 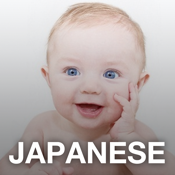 Now with more attractive look and stylish design consisting of Japanese names for your babies with their meanings. Also allows to create your favorite names list and share it with your friends and family by email and facebook. If you like our app, we would greatly appreciate it if you can take a minute to rate and write a great review.